Greetings, fellow Happy Hunters! 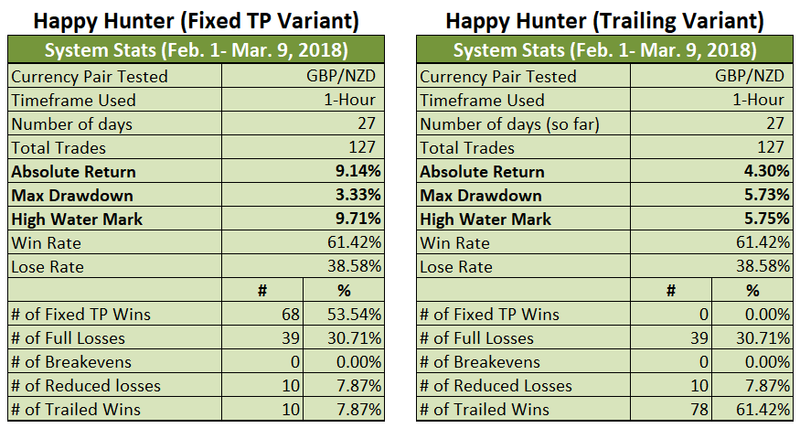 The trading week is done, so let’s take stock of how the two Variants of the Happy Hunter Price Action Trading System fared this past week, shall we? By the way, if you need to check out the previous week’s performance under the updated rules, then go ahead and click on the link below. Also, I’ve rewritten and republished the monthly evaluation to reflect the updated rules. If you’re interested to know how the two Variants fared under the new rules, then click on the link below. Do note that I actually made a mistake during the forward test under the old rules. You can read more about that in February’s updated evaluation. If you’re a regular reader, then you may wanna use the relevant jump links above to go directly to the actual review. But if you’re a new reader, then I insist that you read up on that part. Look! It’s right below. So go ahead and read it. Please? 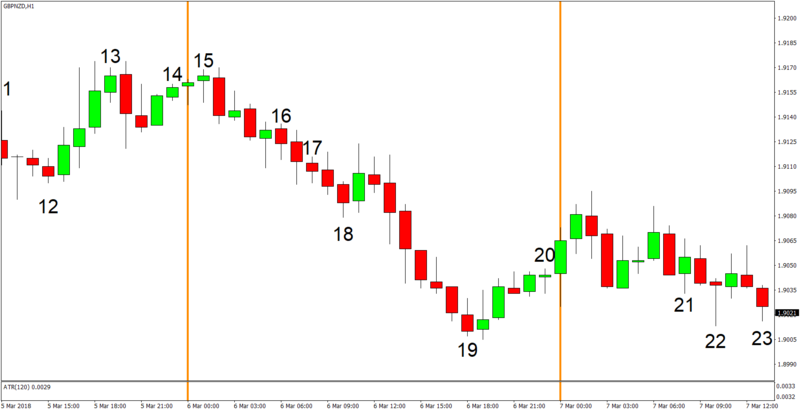 If that piques your interest and if you may wanna know more, then click on the links below to read about and understand the rules of the system. With all of that out of the way, it’s time to finally discuss how the week went. Trading conditions were okay enough for the most part this past week, so both Variants added to their gains, with the Fixed TP Variant up by 1.99% for the week while the Trailing Variant gained 1.18%. The relatively strong trends on March 5 and 6 initially gave the Trailing Variant the upper hand. 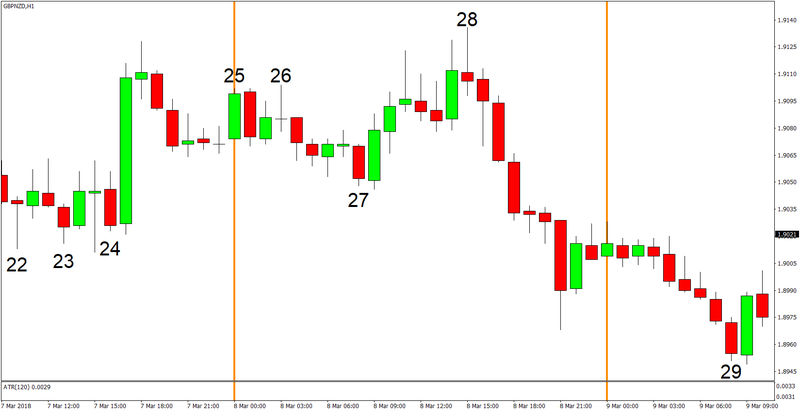 However, daily volatility tightened and price action became choppy after that, so the Trailing Variant began falling behind, allowing the Fixed TP Variant to outpace it. 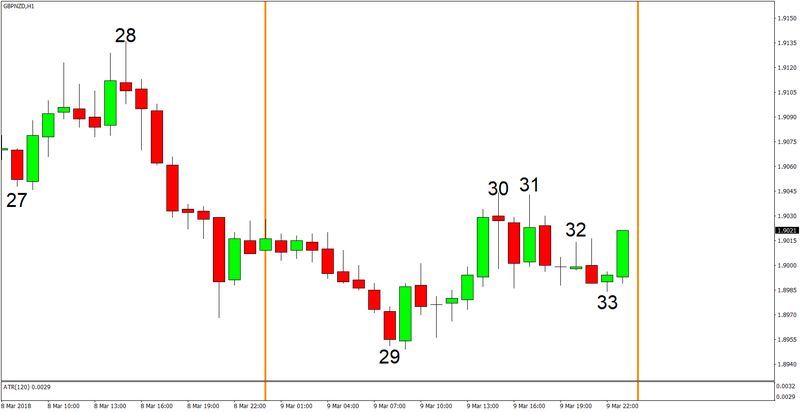 The choppy, sideways price action on March 9, in particular, is rather worrying since it’s reminiscent of the terrible conditions back in February. 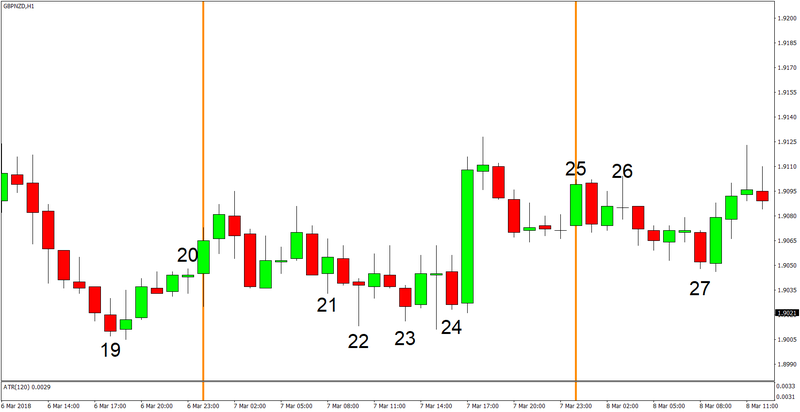 And there is a big risk that trading conditions in March may turn out to be as bad as in February (or worse) since GBP/NZD ‘s price action is tapering into a symmetrical triangle pattern, based on its 4-hour chart. Of course, a more optimistic outlook is that the triangle may break within the month and we’ll then see strong trends that would allow the Trailing Variant to finally shine and significantly outpace the Fixed TP Variant. Of course, that could also be just wishful thinking on my part. Under the updated rules, the Fixed TP Variant is already up by 9.14%, which is off the high water mark of +9.71% but still a pretty good showing. 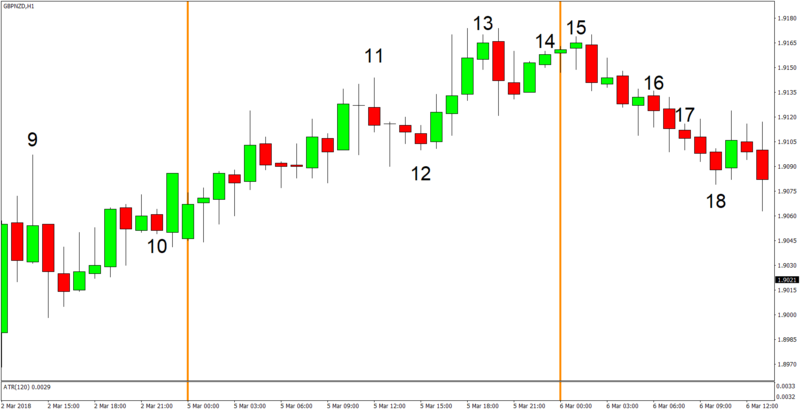 And remember, we always incorporate a 12-pip spread into our trades. 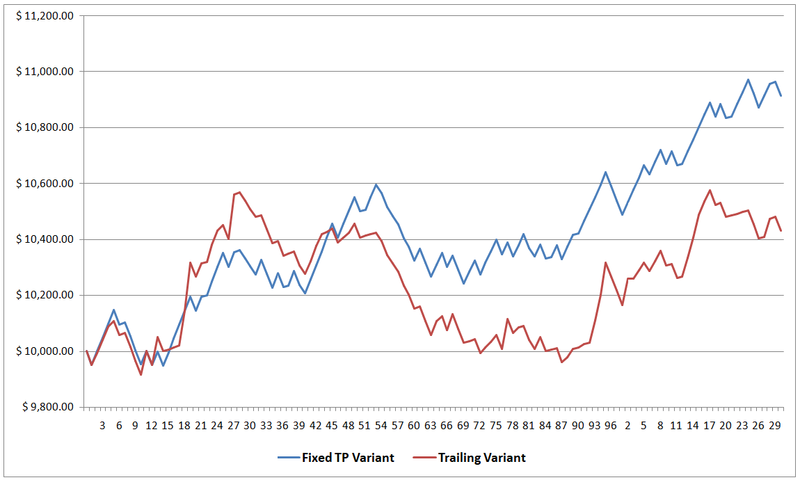 The Fixed TP Variant, meanwhile, is lagging behind with a return of only 4.30%, thanks to the poor trading conditions back in February. 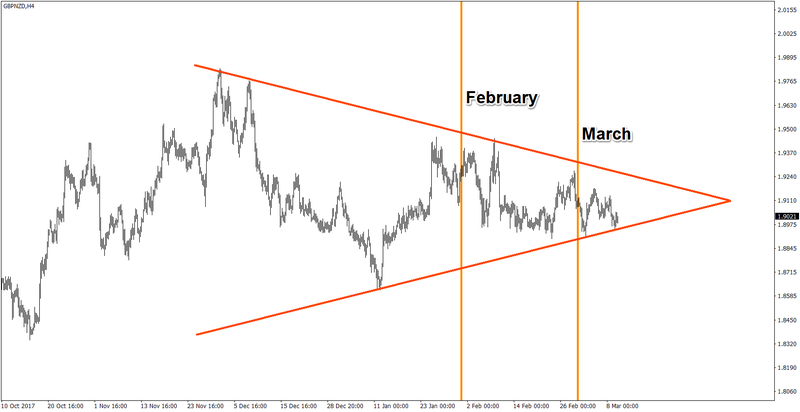 And as mentioned earlier, there’s a big risk that overall price action in March may end up being as unfavorable as in February since GBP/NZD’s price action is clearly tapering while apparently trapped inside a symmetrical triangle chart pattern. If that happens, then the Trailing Variant will very likely lag behind even further. Anyhow, that’s all for now. As always, I enjoy your feedback. So if you have any questions, or if you see a possible error in my work somewhere, or if you just want to say “hi” then don’t be shy and write a comment down below!